Torrential rains pounded the eastern region of Uganda last weekend, leading to fatal landslides throughout the area. Most affected were villages in the sub-county Bulucheke, Bududa district, including Bunakasala, Bunamulembwa, Mabaya and Walwanyi. So far 18 fatalities have been confirmed. 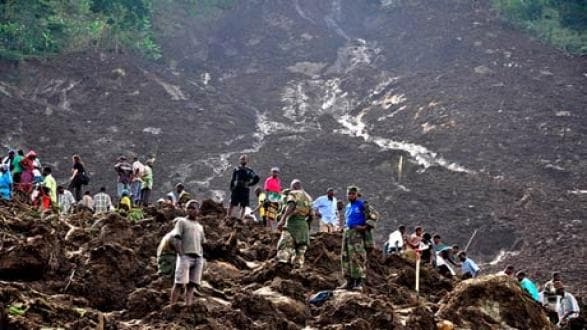 The Uganda Red Cross Society has been joined by the Uganda Peoples Defense Forces (UPDF) in the search for victims of the landslides. UPDF handled most of the excavation of the soil while the Red Cross focused on medical emergencies. Michael Nataka, the Uganda Red Cross Secretary, said that so far 9 people were critically injured and 72 people are still missing. The soil is still unstable so about 448 people in the area are at risk of another landslide. The major landslides in the area occurred around 2pm on Monday and about 20 homes were destroyed. 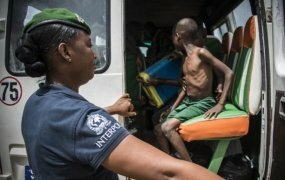 The BBC reported this week that efforts have been redirected from the search for the 72 people still buried under the mud to helping the injured and displaced. The region is on the side of Mount Elgon, an area known for landslides after frequent rainfalls. Still, the landslides do not stop people from living there due to the area's fertile ground and less frequent incidents of malaria. Uganda’s minister for disaster relief, Steven Malinga, is working on a ground plan to relocate people from the top and sides of the mountain to safer areas.